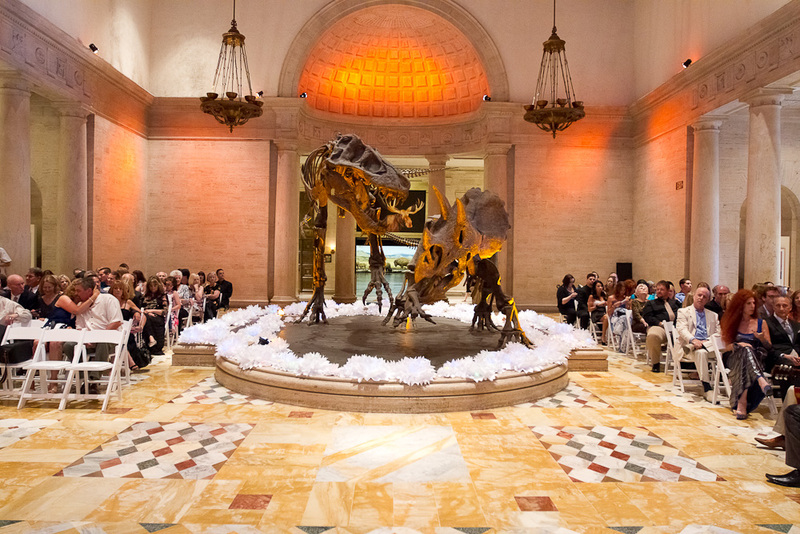 With a venue like The Natural History Museum of LA you don’t really need to do much decorating. All we knew is that we wanted it to be fun and eclectic and reflect our personalities. 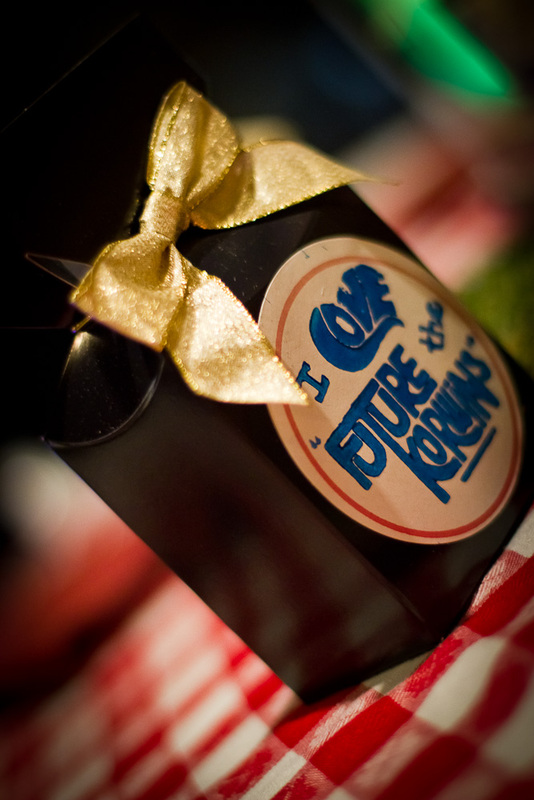 We also wanted guests to be able to take things home and start their own collection! Check out our designs and the crazy reasoning behind them below! Originally, because the dinos are such a focal point and the room itself is so gorgeous we were not really going to do much decorating. 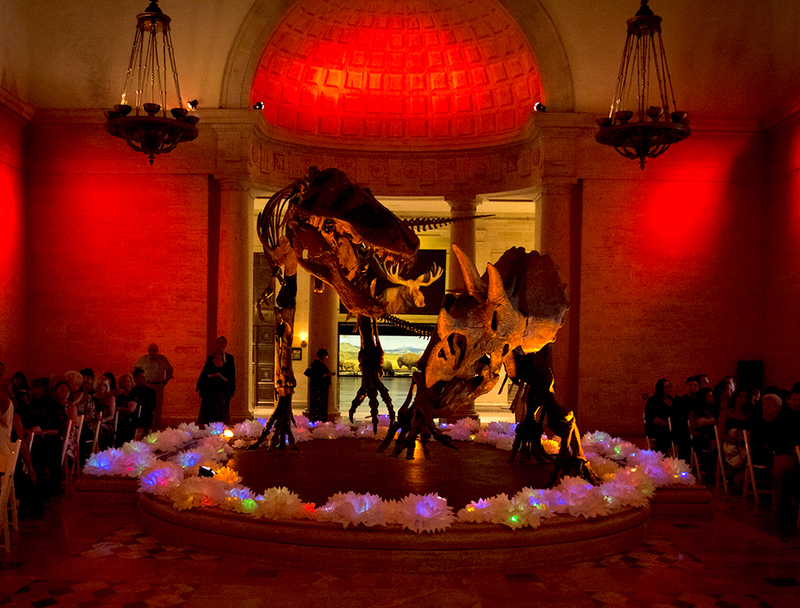 But after seeing pictures of another ceremony using LED lanterns around the dinos we thought we should do something. 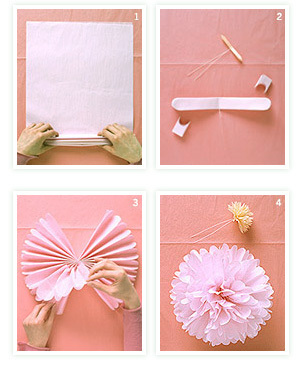 After a few days of searching I came across the Martha Stewart DIY Weddings site and found a tutorial for making tissue paper Dahlia Pom Poms. After trying a few, I found that by only unfolding half of the Pom you could make a lotus flower (with half the work of the Pom too)… now to make 100 of them! Thankfully the girls in my class helped me fold, cut and tie them all up. We realized pretty soon after making them that we would have to have them flat-packed to transport them and unfold them at the venue. We had a few people volunteer to “fluff” flowers the day of, but to my surprise, practically everyone was helping out when we got there! 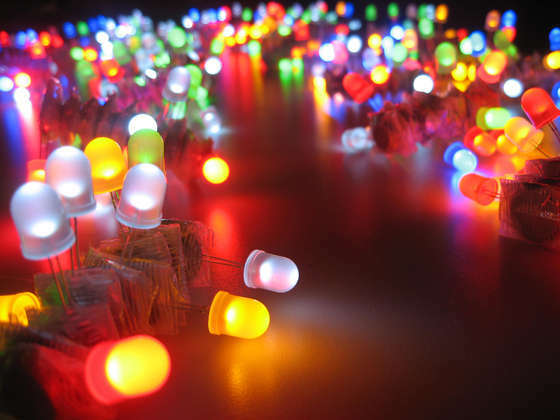 To add a little color to the flowers Josh decided to modify a recipe for LED Throwies and bought a kit for 500 batteries and LEDs, which we’d have to assemble. So, the day before the ceremony we got together and taped the LEDs to the batteries (they supposedly last for a week but we didn’t want to take any chances)… only to find the “morning of” most of the tape didn’t hold. A quick trip to Office Depot to get some small binder clips solved the whole problem (but made us an hour late getting to the museum). 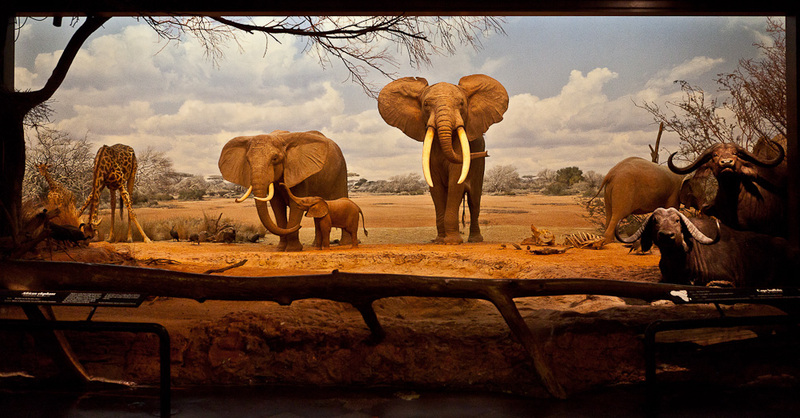 So when faced with dressing the tables in the African Mammal Hall we decided on a sort of Eclectic Safari Picnic theme. 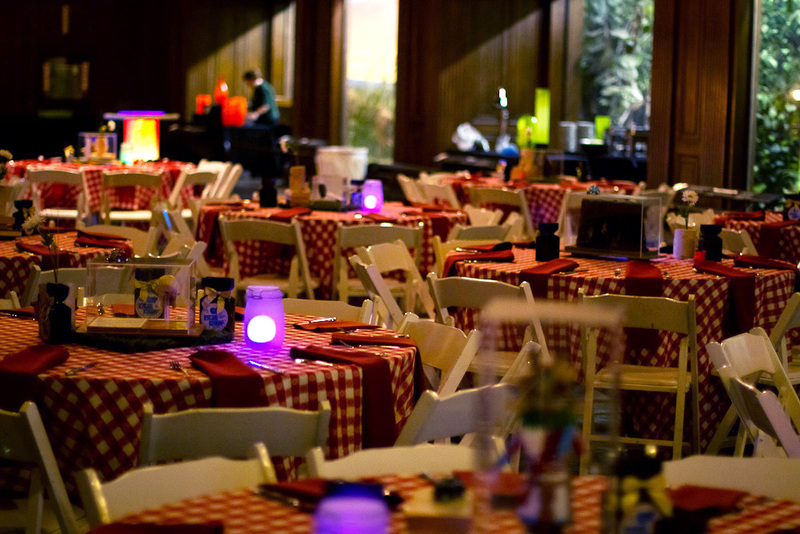 To start it off we definitely wanted to have the classic red and white checkered Italian tablecloth. To have that picnic look, I wanted to incorporate some green grassy elements and found some 16″ moss sheets that worked perfectly. 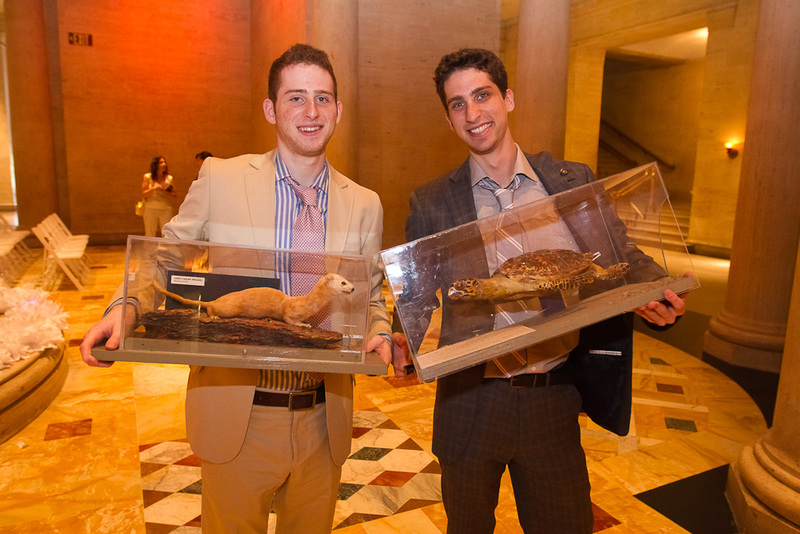 Another HUGE addition to our bag-of-decor tricks were the museum’s own animal and historical specimens. To our surprise the museum said we could borrow them from the Discovery Center for table decor… so Zach and Devin got picking duty! Zach and Devin with their catches of the day. The rest of the decor was pretty much a scattered bit of eclectic craziness on my part. 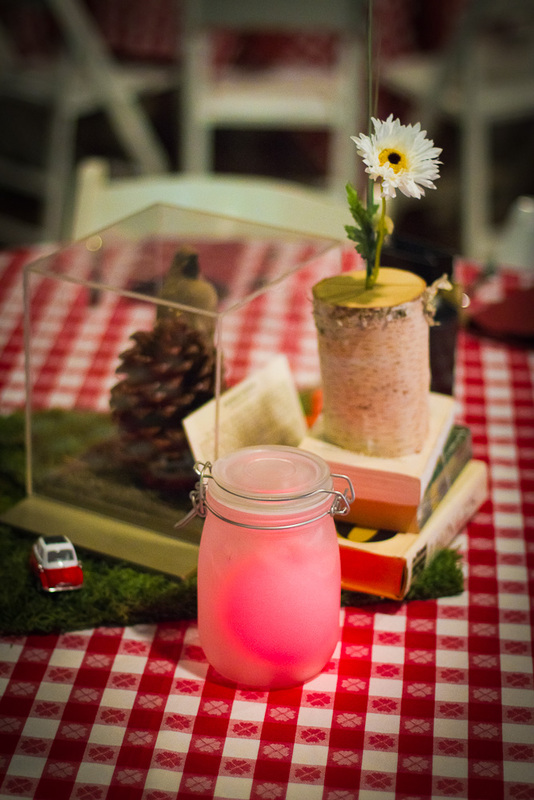 First came the Glowing Sun-Jars: made with glass Mason jars from Ikea, sprayed with glass-frosting spray and outfitted with a color changing glowing orb inside. Second were the Birch bark log vases: cut from Birch firewood logs and drilled out by my dad. We then outfitted them each with a fabric daisy, a few grass strands and a flower bud puff. For some reason we never realized the vases were the same height as the Sun-Jars (which threw the balance of the decor off) so my mom scrounged together some vintage books to stack them on! Next came the little BMW Isetta wind up toys from Kinsmart. There wasn’t really much of a reason for choosing these beside the fact that Isettas are one of my favorite production cars ever (because they are just so out there and awesome). I decided to incorporate them into the decor purely for guests to play around with. Some people also got vintage porcelain sparrow figurines on their tables as well.